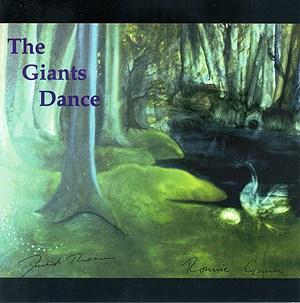 The Giants Dance is a collection of demos recorded during the 1970s by Ant's friends David Thomas & Ronnie Gunn. David & Ronnie were both members of the pre-Genesis band The Spoken Word that included Peter Gabriel on drums and David later sang backing vocals on From Genesis To Revelation. They also appear on the recordings of Ant's songs Master of Time and The Beggar & The Thief. The CD also includes sleeve notes by Tony Banks, David Thomas & Peter Gabriel. CD mastered by Chris Thorpe, Anthony Phillips and David Thomas at Serendipity. NB: Ant only appears on the tracks listed below in bold.